Newton and Newton-related algorithms for optimization and variational problems (especially, under weaker-than-standard assumptions). Bundle methods for nonsmooth optimization, decomposition, and inexact proximal-point-related methods. Optimization problems with degenerate constraints, including problems with equilibrium constraints. Relaxed regularity concepts. Theory and algorithms for solving variational and complementarity problems. Perturbation and error-stability analysis of computational algorithms. Parallel optimization algorithms (former interest). Applications of optimization to machine learning (former interest). 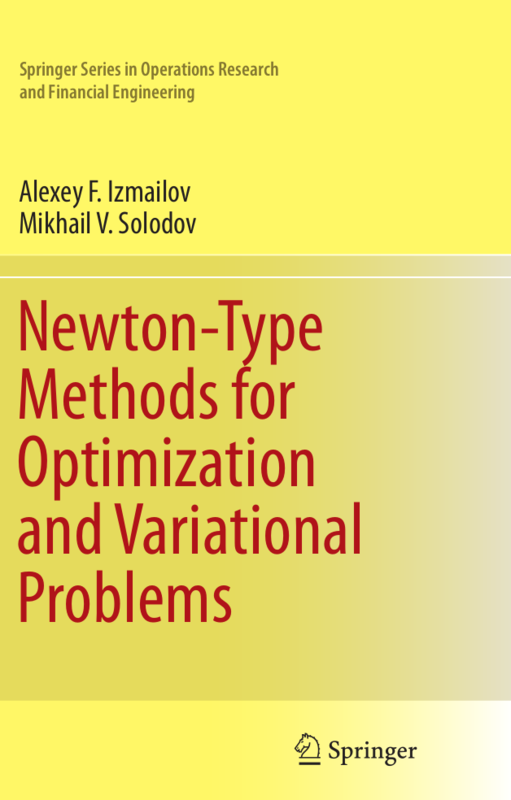 Newton-Type Methods for Optimization and Variational Problems. Alexey F. Izmailov and Mikhail V. Solodov. Springer Series in Operations Research and Financial Engineering, Springer International Publishing, Switzerland, 2014 (573 pages). Boris Mordukhovich, Mikhail Solodov and Michael Todd (Editors). Optimization, Volume 2: Computational Methods. Alexey Izmailov and Mikhail Solodov. Rio de Janeiro, Brazil, 2007; Second Edition 2012. (In Portuguese, 458 pages. ISBN: 978-85-244-0268-5). 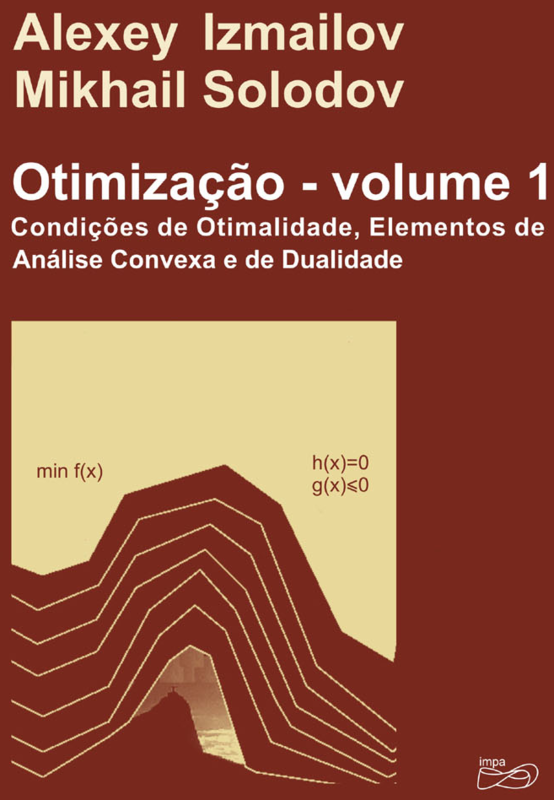 Optimization, Volume 1: Optimality Conditions, Elements of Convex Analysis and Duality. 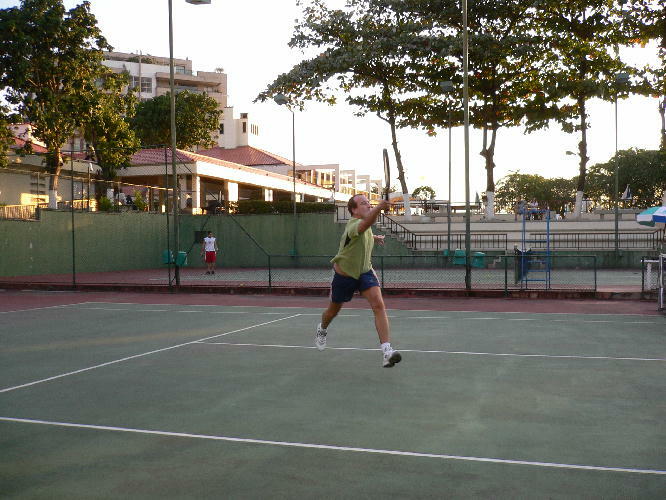 Rio de Janeiro, Brazil, 2005. ISBN: 85-244-0238-5. Second Edition 2009, Third Edition 2014. ISBN: 978-85-244-0389-7 (In Portuguese, 274 pages). (11 papers, dedicated to Olvi Mangasarian). M.C. Ferris and M.V. Solodov (Editors). A.F. Izmailov and M.V. Solodov. Fizmatlit/Nauka, Moscow, Russia, 2003, ISBN: 5-9221-0045-9. Second Edition 2008. ISBN: 978-5-9221-0975-8 (In Russian, 320 pages). November 2018 (revised April 2019). May 2018. To appear in Numerical Nonsmooth Optimization, A. Bagirov, M. Gaudioso, N. Karmitsa and M. Mäakelä (editors). Springer, 2019. Computational Optimization and Applications 72 (2019), 215-239. In Nonsmooth Optimization and Its Applications, S. Hosseini, B. Mordukhovich, A. Uschmajew (editors). International Series of Numerical Mathematics, vol. 170, pp. 55-87, 2019. Birkhauser, Cham. Journal of Optimization Theory and Applications 180 (2019), 140-169. Mathematical Programming 167 (2018), 355-379. Mathematical Programming 168 (2018), 475-507. Computational Optimization and Applications 69 (2018), 325-349. Mathematical Programming 156 (2016), 125-159. SIAM Journal on Optimization 26 (2016), 2012-2033. Mathematical Programming 157 (2016), 451-481. Optimization Methods and Software 31 (2016), 1111-1131. Computational Optimization and Applications 63 (2016), 425-459. Journal of Optimization Theory and Applications 169 (2016), 148-178. Computational Optimization and Applications 63 (2016), 1-28. Journal of Optimization Theory and Applications 164 (2015), 577-620. Invited discussion paper, TOP 23 (2015), 1-26. This invited paper is discussed in the comments available at [ A. Fischer ], [ J.M. Martínez ], [ B.S. Mordukhovich ], [ D.P. Robinson ]. Computational Optimization and Applications 62 (2015), 405-429. Optimization Methods and Software 30 (2015), 461-477. Computational Optimization and Applications 60 (2015), 111-140. R.M. Kovacevic, G.Ch. Pflug, and M.T. Vespucci (editors), Springer, International Series in Operations Research and Management Science, Vol. 199, Chapter 10, pp. 237-264, 2014. Computational Optimization and Applications 59 (2014), 201-218. Mathematical Programming 143 (2014), 177-209. Pesquisa Operacional 34 (2014), 463-479 (special issue on Nonlinear Programming). Mathematical Programming 142 (2013), 591-604. Set-Valued and Variational Analysis 21 (2013), 17-45. Pacific Journal of Optimization 9 (2013), 301-322. (special issue on Equilibrium Optimization). SIAM Journal on Optimization 22 (2012), 1579-1606. SIAM Journal on Optimization 22 (2012), 384-407. Computational Management Science 9 (2012), 163-182. Computational Optimization and Applications 51 (2012), 199-221. Mathematical Programming 133 (2012), 93-120. Optimization Methods and Software 26 (2011), 847-872. Optimization and Engineering 12 (2011), 277-302. Mathematical Programming 126 (2011), 231-257. Wiley Encyclopedia of Operations Research and Management Science [ doi ], James J. Cochran, et al. (editors), John Wiley & Sons, Inc., 2010. SIAM Journal on Optimization 20 (2010), 3312-3334. Computational Optimization and Applications 46 (2010), 347-368. SIAM Journal on Optimization 20 (2010), 2584-2613. Mathematical Programming 125 (2010), 47-73. SIAM Journal on Optimization 20 (2009), 820-840. Journal of Convex Analysis 16 (2009), 857-880. 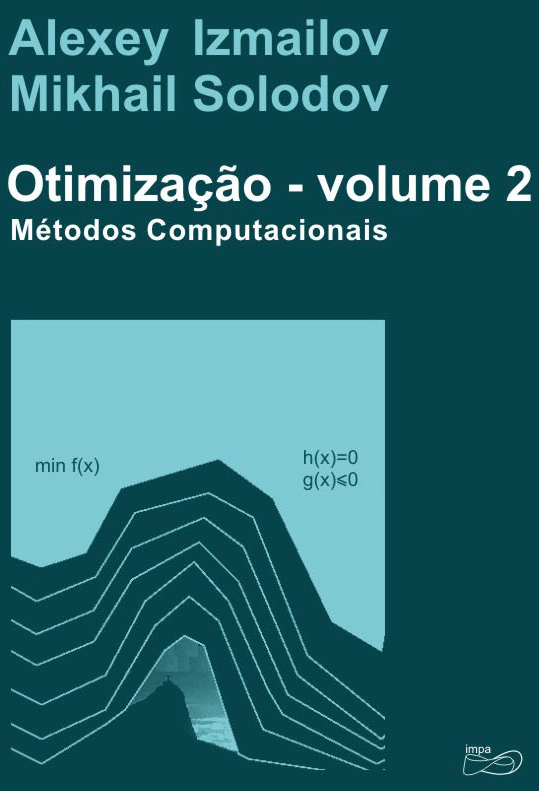 Computational Optimization and Applications 42 (2009), 231-264. A survey on dual behavior of Newton-type methods for constrained optimization. In proceedings of the International Conference Nonlinear Analysis and Optimization Problems, Scientific Meetings, Vol. 100, the Section of Natural Sciences, Vol. 13, Podgorica: Montenegrin Academy of Sciences and Arts, 2009, pp. 157-174. Mathematical Programming 118 (2009), 1-12. Journal of Optimization Theory and Applications 142 (2009), 501-532. Mathematical Programming 117 (2009), 271-304. Mathematical Programming 116 (2009), 297-320. SIAM Journal on Optimization 19 (2008), 240-260. Computational Optimization and Applications 39 (2008), 143-160. SIAM Journal on Optimization 19 (2008), 1003-1027. SIAM Journal on Optimization 18 (2007), 242-259. Journal of Convex Analysis 14 (2007), 227-238. Pacific Journal of Optimization 2 (2006), 575-589. A. Seeger (editor), Lectures Notes in Economics and Mathematical Systems, Vol. 563, Springer-Verlag Berlin Heidelberg, 2006, pp. 133-145. SIAM Journal on Optimization 16 (2005), 146-169. Computational and Applied Mathematics 24 (2005), 293-316. Mathematical Methods of Operations Research 61 (2005), 347-363. SIAM Journal on Optimization 15 (2004/2005), 409-429. Optimization Methods and Software 19 (2004), 557-575. SIAM Journal on Optimization 15 (2004), 210-228. Mathematics of Operations Research 29 (2004), 64-79. Journal of Optimization Theory and Applications 119 (2003), 151-165. Mathematical Programming 95 (2003), 631-650. Journal of Mathematical Analysis and Applications 287 (2003), 405-414. V.A. 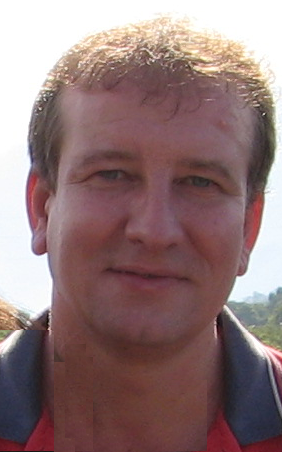 Bereznev (editor), Computing Center of the Russian Academy of Sciences, 2003, pp. 63-82. Mathematical Programming 96 (2003), 513-528. SIAM Journal on Optimization 13 (2002), 386-405. Optimization Methods and Software 17 (2002), 965-983. Mathematics of Operations Research 27 (2002), 614-635. On optimality conditions for cone-constrained optimization. In Proceedings of the 41-st IEEE Conference on Decision and Control, Omnipress, 2002. Computational Optimization and Applications 22 (2002), 111-131. SIAM Journal on Optimization 13 (2002), 368-385. Numerical Functional Analysis and Optimization 22 (2001), 1013-1035. Mathematical Programming 89 (2001), 413-435. M C. Ferris, O.L. Mangasarian and J.-S. Pang (editors), Applied Optimization 50, Kluwer Academic Publishers, 2001, Chapter 14, pp. 297-315. SIAM Journal on Control and Optimization 40 (2001/2002), 1280-1295. On the relation between bundle methods for maximal monotone inclusions and hybrid proximal point algorithms. D. Butnariu, Y. Censor and S. Reich (editors), Studies in Computational Mathematics 8, Elsevier Science B.V., 2001, pp. 441-455. Mathematical Programming 88 (2000), 371-389. G. Di Pillo and F. Giannessi (editors), Applied Optimization 36, Kluwer Academic Publishers, 2000, pp. 415-427. Computational Optimization and Applications 17 (2000), 255-277. Mathematics of Operations Research 25 (2000), 214-230. SIAM Journal on Optimization 10 (2000), 605-625. V.A. Bereznev, V.G. Karmanov and A.A. Tretyakov (editors), Computing Center of the Russian Academy of Sciences, 2000, pp. 26-50. Mathematical Programming 87 (2000), 189-202. Computational Optimization and Applications 14 (1999), 5-16. Set-Valued Analysis 7 (1999), 323-345. Computational Optimization and Applications 13 (1999), 187-200. SIAM Journal on Control and Optimization 37 (1999), 765-776. Parallel constrained optimization via distribution of variables. Journal of Convex Analysis 6 (1999), 59-70. Globalization strategies in successive linearization methods for variational inequalities. In Actas de VI Congreso de Matematica Aplicada, R. Montenegro,G. Montero and G. Winter (editors), Universidad de Las Palmas de Gran Canaria, 1999, pp. 1307-1314. A projection-type method for pseudomonotone variational inequality problems. In Proceedings of the 38-th IEEE Conference on Decision and Control, Omnipress, 1999, pp. 2569-2574. SIAM Journal on Optimization 8 (1998), 187-196. Journal of Optimization Theory and Applications 98 (1998), 663-680. Mathematical Programming 81 (1998), 23-35. Computational Optimization and Applications 11 (1998), 23-35. Journal of Optimization Theory and Applications 93 (1997), 337-353. Journal of Convex Analysis 4 (1997), 235-255. Journal of Computational and Applied Mathematics 80 (1997), 265-275. Journal of Optimization Theory and Applications 94 (1997), 449-467. Computational Optimization and Applications 7 (1997), 165-182. SIAM Journal on Control and Optimization 34(1996), 1814-1830. Nonmonotone and Perturbed Optimization, Ph.D. Dissertation. 1210 West Dayton Street, Madison, Wisconsin 53706, U.S.A., August 1995. Optimization Methods and Software 4 (1994), 103-116. Mathematics of Operations Research 19 (1994), 880-892. J.D. Cowan, G. Tesauro and J. Alspector (editors), Morgan Kaufmann Publishers, 1994. Mathematical Programming 62 (1993), 277-297. University of Wisconsin - Madison, 1995. University of Wisconsin - Madison, 1992.